2 What is Tinea Faciei? There are certain tiny micro-organisms that are said to infect our skin. These tiny micro-organisms are termed as skin fungi. Skin fungi falls into two sub-categories i.e. Dermatophyte and yeasts. Dermatophyte is a very common skin infection and is also popularly known as Tinea. Dermatophyte may occur on different parts of the body like on athlete’s foot (Tinea pedis), on scalp (Tinea capitis), face (Tinea faciei), on bearded area (Tinea barbae), on body (Tinea corporis). The skin fungi occurring on the neck, back, shoulders and chest is termed as Tinea vesicular and it is regarded as a yeast infection. In this piece of content we will mainly focus on Tinea facial (skin infection occurring on face). Tinea Faciei is a skin infection occurring on your face. This fungal skin infection is said to be spread from an animal to human, especially from pets. The Tinea Faciei may occur along with other fungal infections like Tinea corporis and Tinea capitis i.e. occurring on scalp and body respectively. 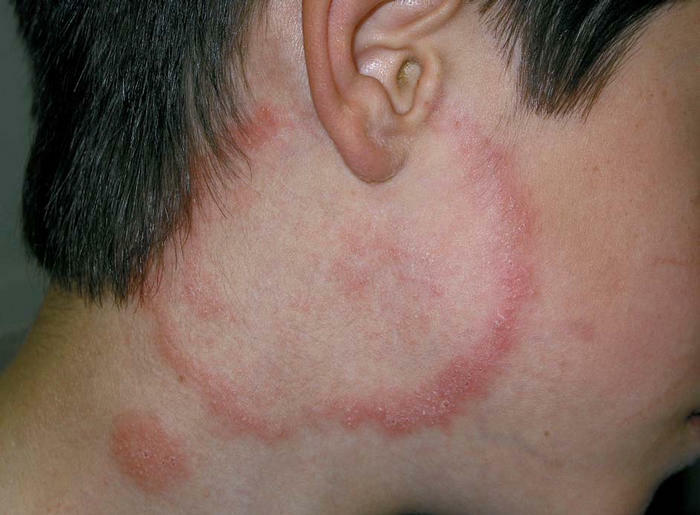 The term tine Faciei also may be termed as ringworm of the face. Below are some common factors which contribute to Tinea faciei. This type of skin infection may occur among people of different ages, belonging to different races and sexes. But this infection is likely to occur in warmer and humid weather. This infection is popularly seen occurring among people of ages ranging between 20 and 40. The greater chance of the cause of this disease is from the infected pets like cats, dogs, cattle, etc. This type of fungus immediately spreads on warm and sweaty skin. Those who are suffering from suppressed immune systems like diabetes, leukemia, or HIV/AIDS are more prone to develop ringworms on their face. Sharing of personal items like combs, towels, hair brushes, etc. with the infected persons. Using areas like swimming pools, exercise machines in gym etc. that are used by the infected people. Below are the common signs and symptoms of occurrence of ringworms on the face. The common areas of the face where the ringworm may occur includes nose, cheeks, chin, forehead and around the eyes. Tinea Faciei are likely to occur in the form of pink to red scaly and circular patches of sizes ranging between 1 cm and 5 cm. The patches are supposed to get bigger with time and the center of these patches is normal in appearance with a circular red shaped ring surrounding it. These ringworms or patches are quite itchy sometimes and may result in sunburn feeling whenever exposed to the sun light. The infected area appears to be shaved and scaly due to loss of hair in that particular infected area. It is essential to get yourself confirmed about if you are suffering from Tinea Faciei. Instead of going with the self-treatment seek the guidance of a dermatologist and get a test to determine if you are suffering from this infection. After the Tinea Faciei is diagnosed, you may undergo oral or topical anti-fungal medication. For this, your dermatologist may scrape some surface of your skin and put onto a glass slide for examining it. This procedure is known as KOH preparation and it is effective in diagnosing the fungal infections of the skin. The best effective treatment usually prescribed by majority dermatologists is Naftifine Hydrochloride 1% cream or gels. The facial ringworm is supposed to recover within 4 to 6 weeks if you are undergoing an effective treatment. Below are some recommended useful yet effective steps which you must follow when seeking for a treatment for facial ringworm. Take medicines prescribed by your dermatologist on time. Keep your nails, hair and face clean. Trim your facial hair and beard on time. After getting bath, dry your entire face and body properly. Never share your personal items like comb, towel, etc. with others. Try to use showering shoes when going at the areas like swimming pools and gyms. Wear socks to keep your feet dry. Opt for fungicidal agent for cleaning your washrooms, sinks and tubs. Don’t get together with your closed ones until you get rid of your infection. Get complete checkup of your pets and control the Dermatophyte infections in them. If you want to go with the self-care treatments of facial ringworm then you can go with several anti-fungal creams or lotions. The effective ones include the names of Terbinafine, Clotrimazole and Miconazole. You are required to apply the cream to the infected part on daily basis for at least 2 weeks. If you don’t see any effective results, seek immediate guidance from your doctor or dermatologist. There are certain natural remedies which you can go with for treating your facial ringworm infection. Use the application of tea tree oil on the infected area thrice a day. Garlic extract is another great natural remedy to cure Tinea Faciei. Apple vinegar possesses certain anti-fungal properties which may help recover from facial ringworm. Apply it on the infected area thrice a day for at least 3 days. Coconut oil possesses certain healing properties which help you get rid of ringworm infection. Make a mixture of lavender oil and a tsp of jojoba oil and apply on the ringworm to get effective results. 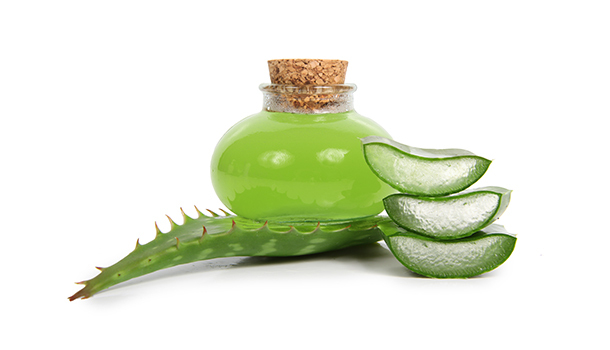 Some other natural remedies to treat facial ringworm include the applications of mustard seeds, turmeric, aloe Vera, olive leaf, etc. It is good to consult your doctor/dermatologist before implementing these remedies.